Stamford Bridge was buzzing with Saturday’s six-goal thriller that saw a plethora of incidents in an eventful game! 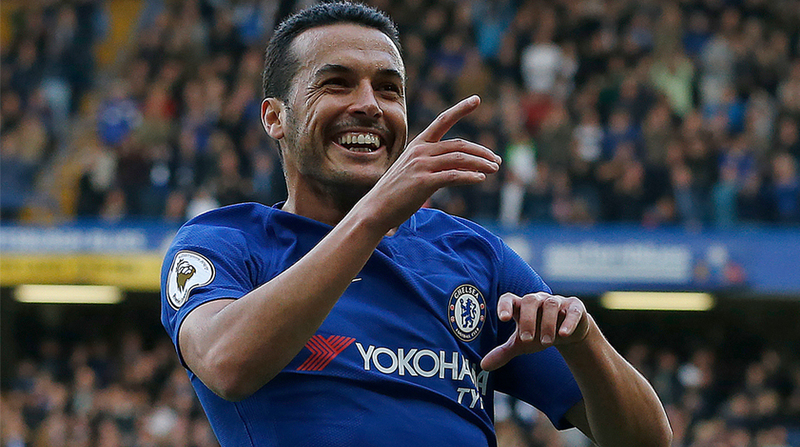 Chelsea came from behind to beat Watford 4-2 in a thrilling Premier League encounter at Stamford Bridge on Saturday and there were plenty of talking points that got fans and critics buzzing. In a six-goal thriller, there are bound to be a plethora of incidents but which were truly noteworthy? Richarlison didn’t have a poor game, far from it. The Brazilian’s directness caused Chelsea’s defence all sorts of problems, but he was guilty of two shocking misses either side of Watford’s second goal. Had the 20-year-old finished both, the game would have been done there. He did partially redeem himself with an assist, but those two chances just had to be put away. Both were virtual tap-ins yet somehow Richarlison contrived to send his efforts wide of the goal. So far, he’s looked like the real deal but how he responds from Saturday’s debacle will be the making of the young and talented winger. Yes, Conte was forced into making the substitutions, but it takes guts to take off your club’s record signing when you are chasing the game. Sending on Michy Batshuayi, who has come in for plenty of criticism in the recent weeks, for Morata is simply not a change most managers would make but then again, Conte is unlike most managers. The Belgian scored the equaliser, to swing the momentum firmly in the favour of the hosts while Willian, another substitute, would prove the assist for the Blues’ third goal. And the icing of the cake was Batshuayi scoring the fourth in injury-time to add gloss to the scoreline. Nothing vindicates a manager than his substitutes sending on players who then make a difference in the final outcome of the tie and Conte will not only be releived, but will have renewed belief in himself. Rudiger was made to look like an amateur by Richarlison and while the Brazilian is a fine talent, he is not yet in the top echelon of Premier League wingers. Chelsea’s defensive woes just haven’t gone away this season and their summer signing Rudiger hasn’t quite looked at ease. The 24-year-old has started nine games for the Blues this season (all competitions) and his side have kept a clean sheet just twice in that span. Of course, Rudiger is not the sole reason that the Conte’s men have not kept a tight ship as they did last season, but surely the German’s stuttering form is one of them. The sooner he gets his act together, the better for Chelsea as their attack can’t keep scoring three goals or more in every game and the Londoners will have to shore up their back-line if they are to seriously compete with the likes of Manchester City and United. Watford to challenge for European spots? Early days, yes, but Watford have showed enough to suggest that not only can they finish in the top-half, but actually compete for the European spots. Why not? The Hornets are fluid in attack, decent in defence and have a overall solidness to their setup. Marco Silva is here to stay and while a Champions League place would perhaps be too much to ask, the Europa League is a viable option. Especially if one considers the indifferent form the traditional powerhouses like Arsenal, Liverpool and Everton are in, Watford’s ambitions should match their terrific form. After suffering a mauling at the hands of Manchester City, many sides would have been expected to be stuck in a rut but the Hornets have responded brilliantly to stun the likes of Arsenal before giving Chelsea an almighty scare at Stamford Bridge of all places. The Premier League loves stories such as theirs and there’s no reason why the Hornets cannot be representing England in continental completion next season. European exploits stifling Chelsea’s Premier League ambitions? Chelsea thumped Qarabag FK in the UEFA Champions League 6-0 but subsequently were held to a disappointing 0-0 by Arsenal at home. It must be noted, the Blues were heavy favourites to clinch three points but were actually outplayed by their rivals over the course of 90 minutes. The Blues’ next Champions League tie saw them record an impressive 2-1 away win over Atletico Madrid but once again, they were unable to sustain their intensity in the Premier League as Manchester City dominated them enroute to a 1-0 win at Stamford Bridge. And after a thrilling but at the same time, draining 3-3 draw with Roma in mid-week, Chelsea had to work extremely hard to beat Watford. Granted, Marco Silva’s side are a fine unit but the defending champions have plenty of quality in their squad and a routine home win shouldn’t be too much to ask, surely. That’s three home games where Chelsea have registered just four points. All have been after Champions League ties and that is no coincidence, especially if one considers the fact that Conte’s men romped to the Premier League title without any European distractions last season.